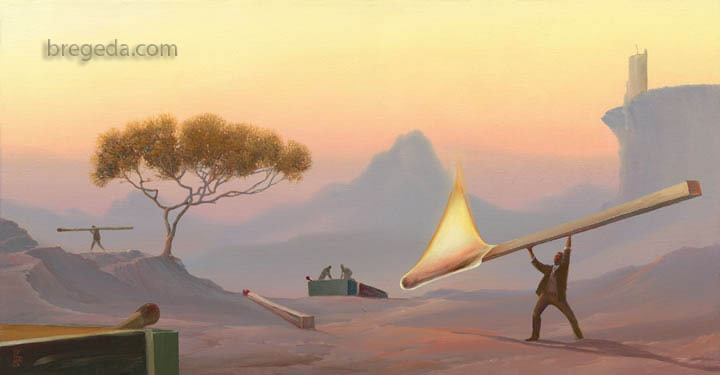 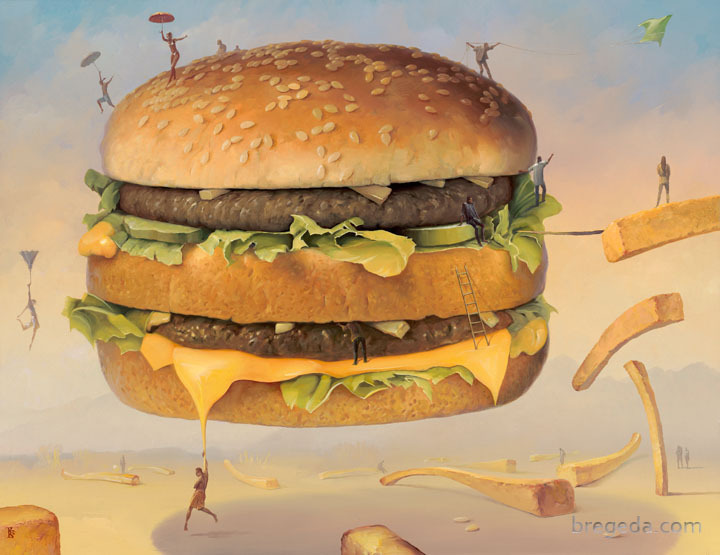 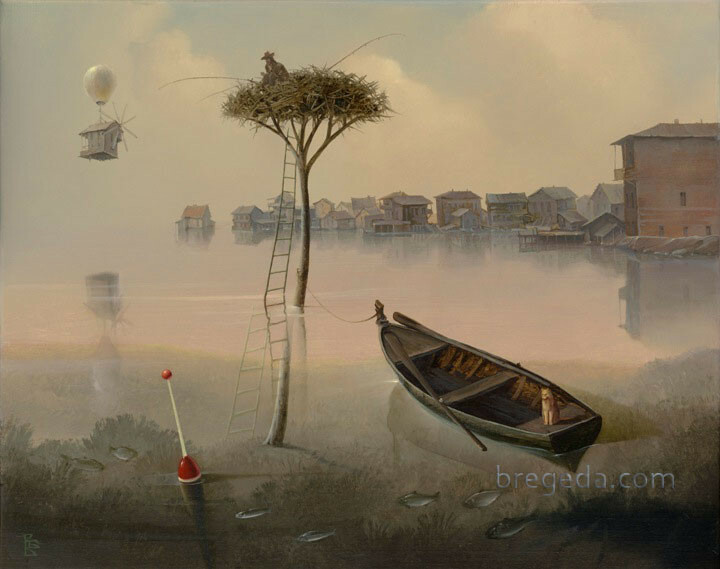 Victor Bregeda was born in Russia in a family of painters. 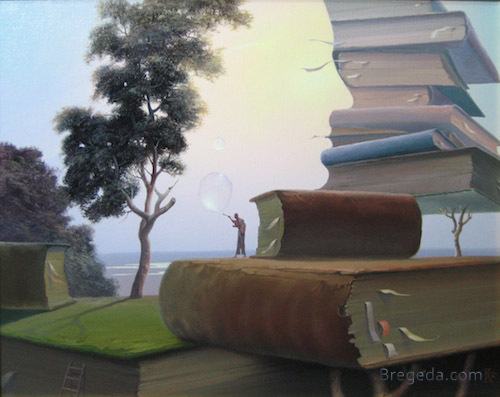 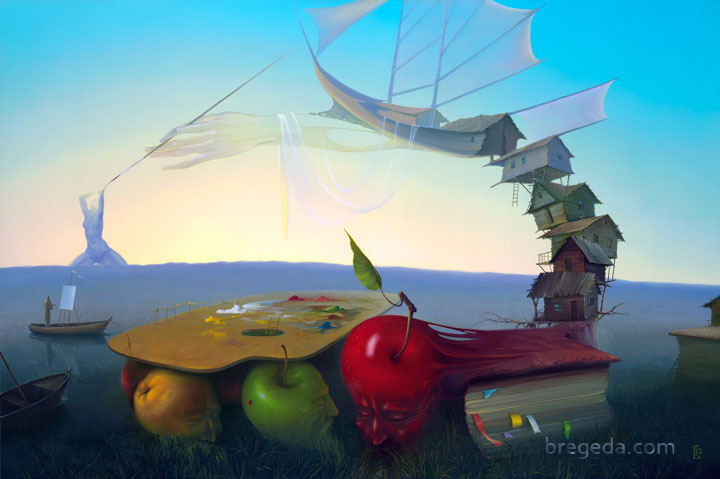 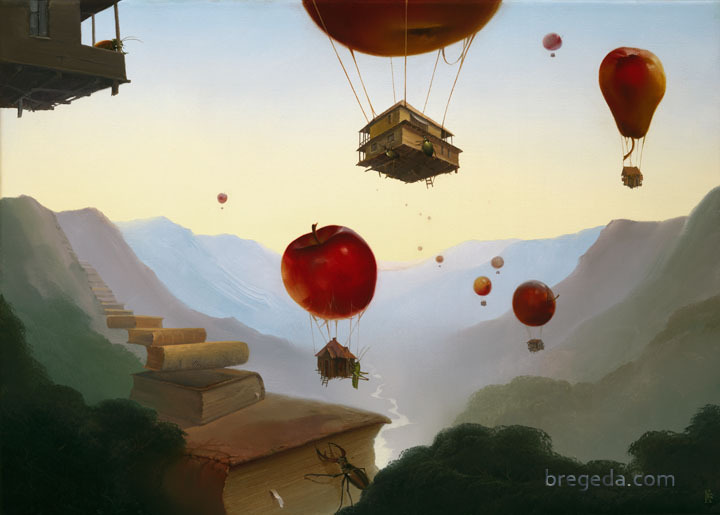 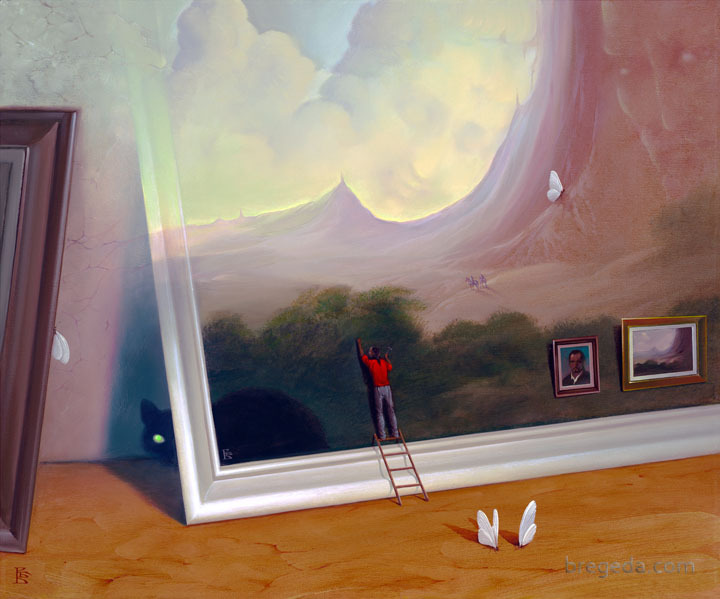 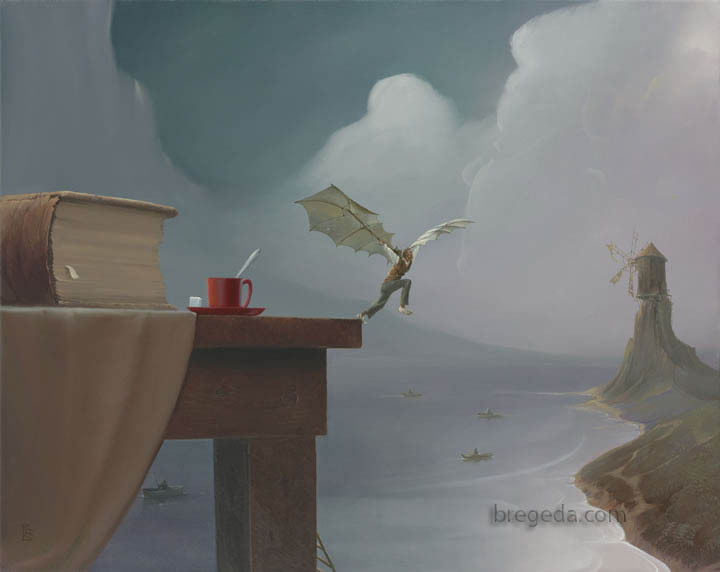 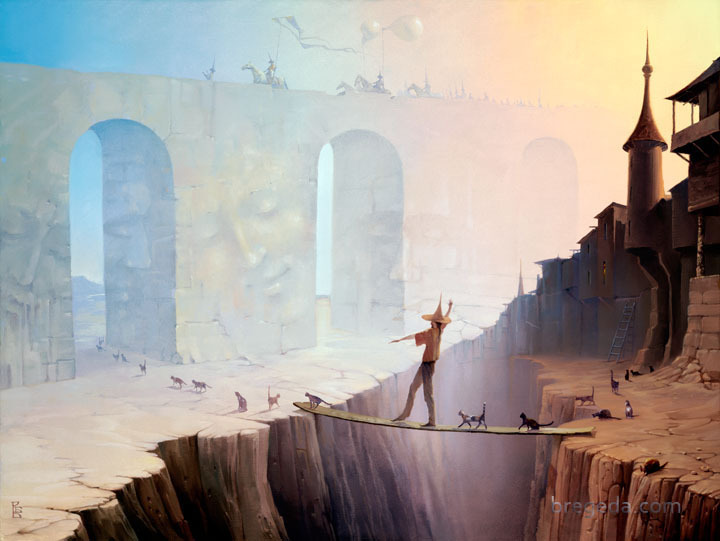 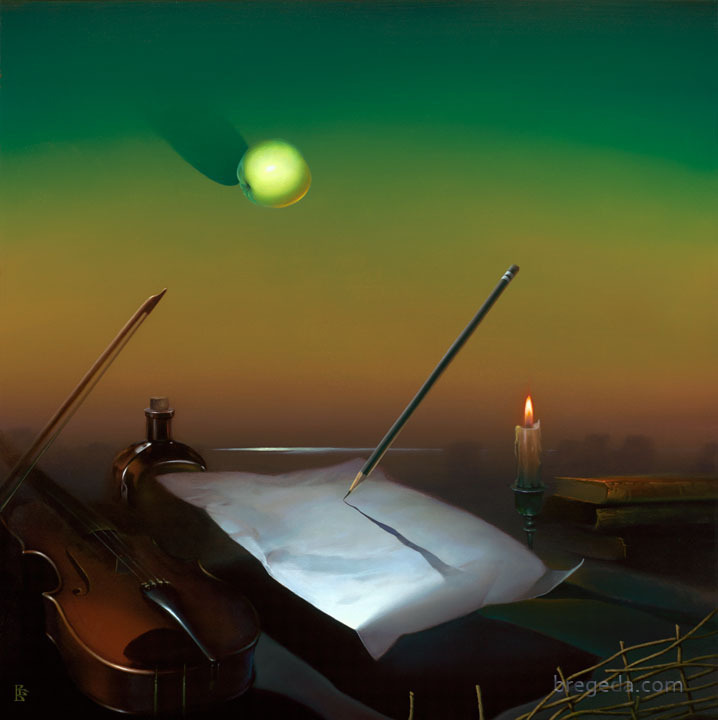 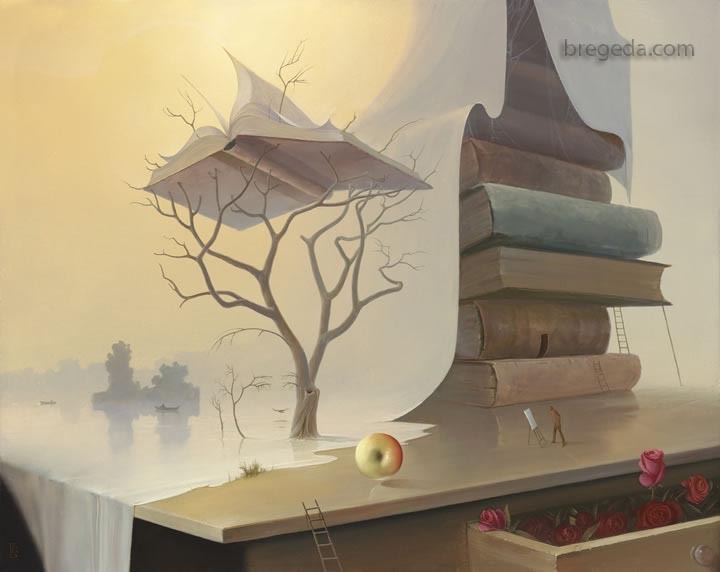 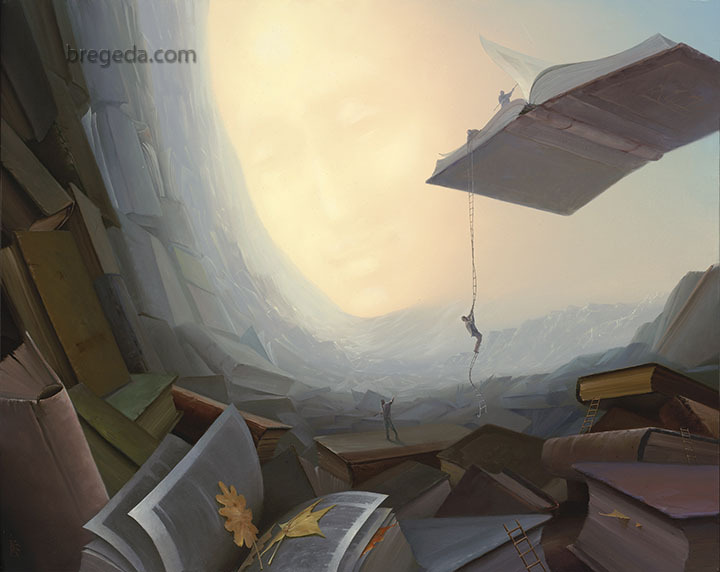 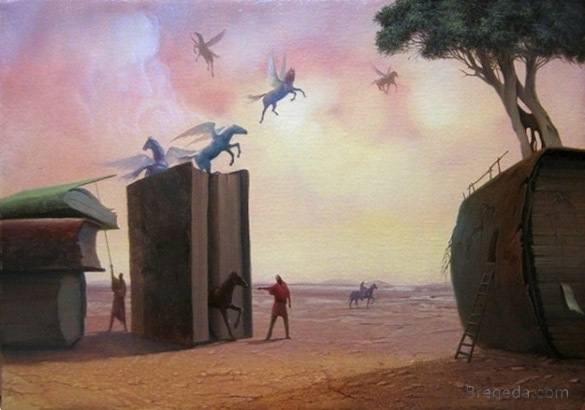 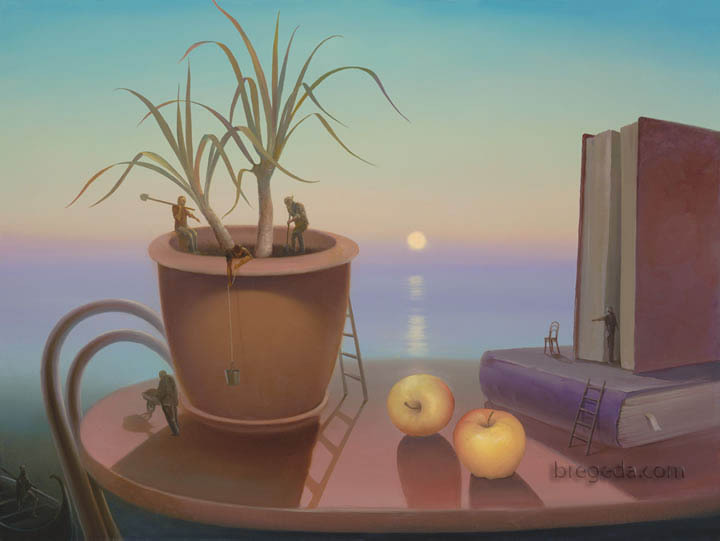 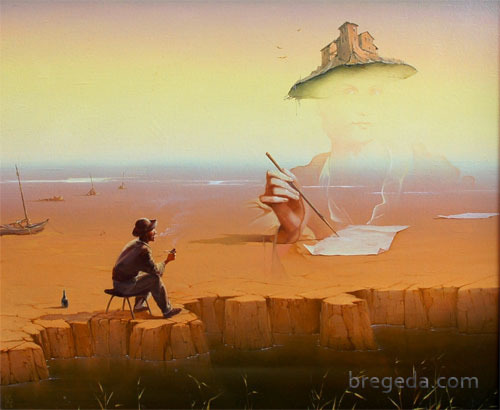 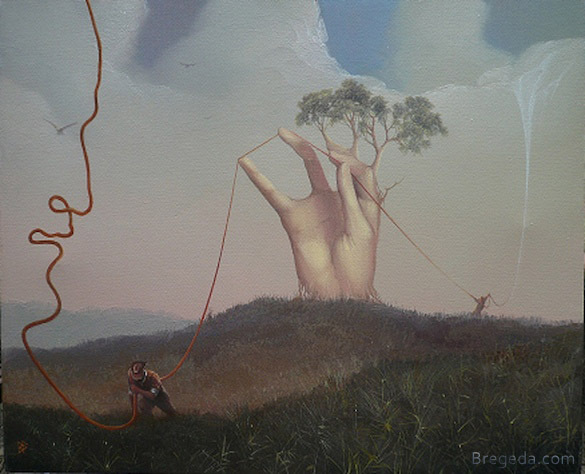 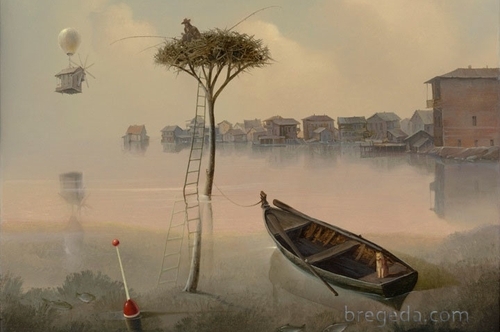 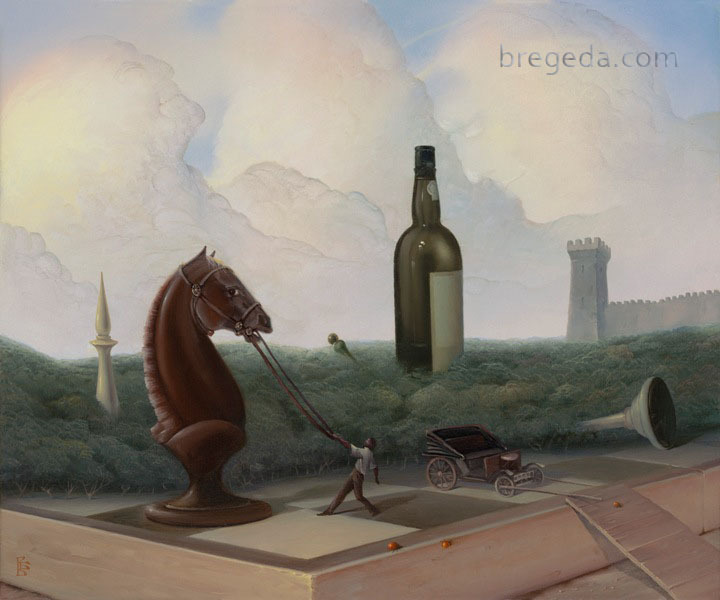 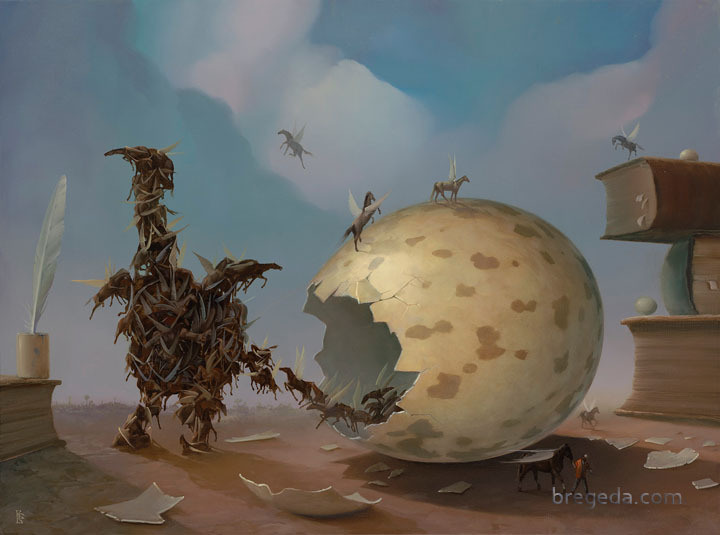 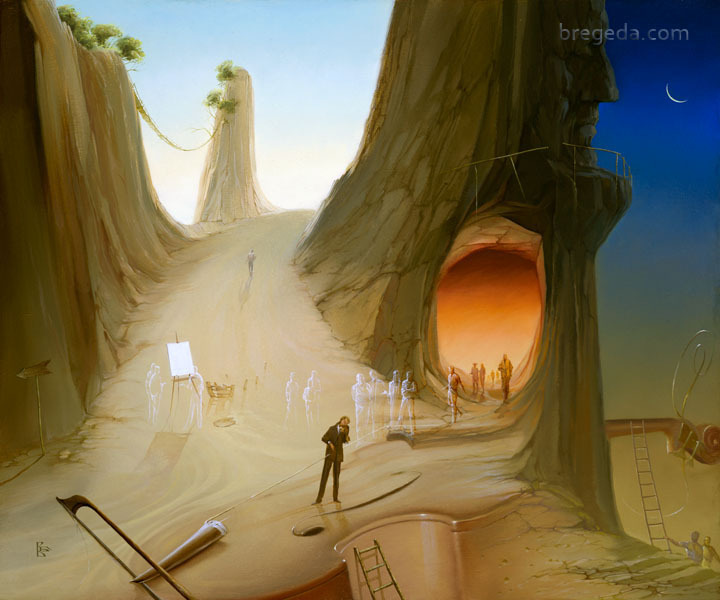 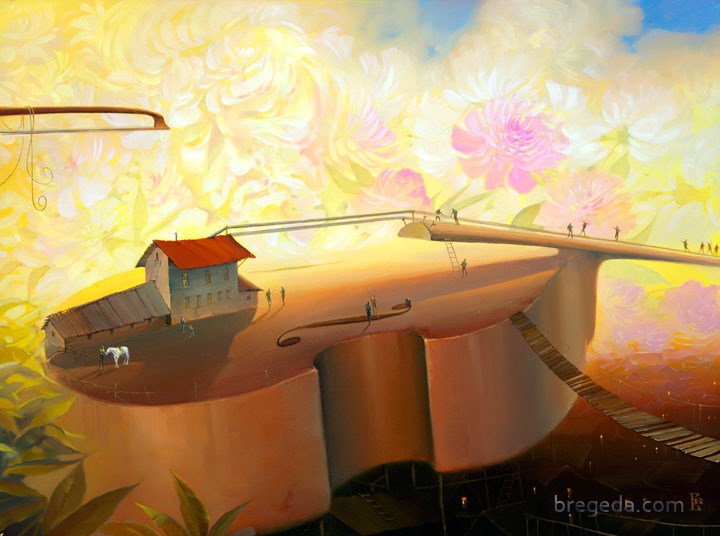 Bregeda has been paintings since he can remember, he received a classical art training which, he left behind for a more creative and symbolic one in surreal art. 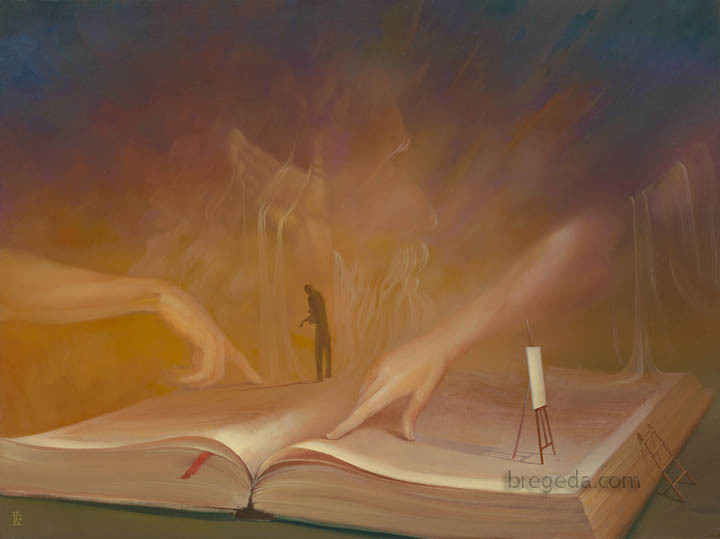 As you can see from the paintings and the titles, a lot of thought goes into these pieces. 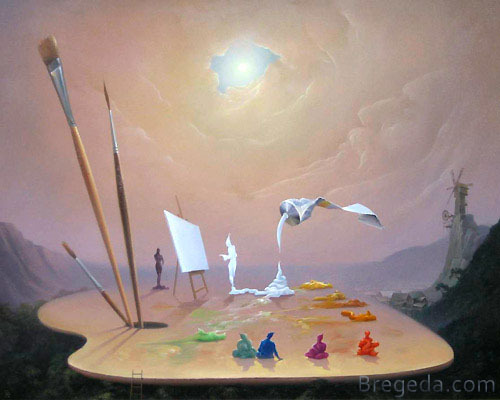 It is not only about recreating a scene, or a portrait, but also about infusing and encapsulating a message, using symbolism, to arrange them within the painting. 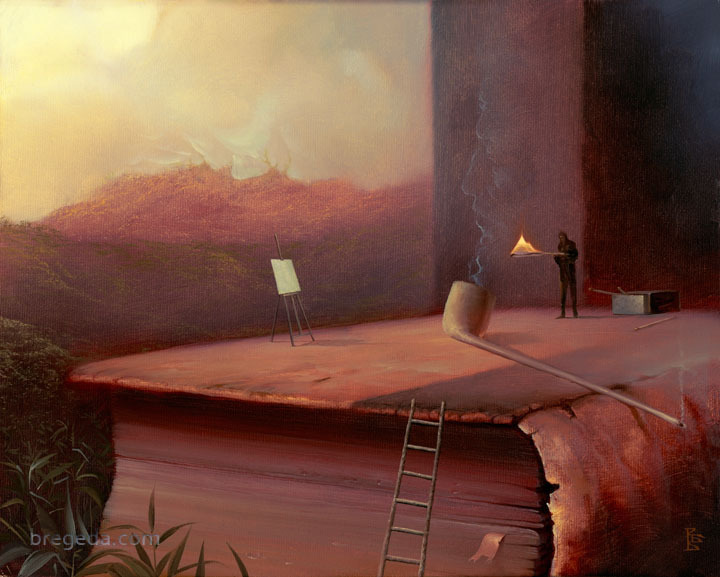 A cryptic image ready to be deciphered by us.